You’ll be pleasantly surprised at the wide variety of floor plans that our modular homes offer our customers in Mooresville, NC. What makes a modular home different from other homes? Modular homes are built in portions or sections in factories and delivered to the construction site and assembled. After being placed on a foundation (often over a type of crawlspace or basement), modular homes will look similar, if not identical, to a home that was built on-site from the ground up. Does a modular home limit me in terms of floor plan and square footage? You’ll be pleasantly surprised at the wide variety of floor plans that our modular homes offer our customers. By sitting down with our home designers, we can design you a home that will fit the needs and lifestyle of your family. Will my house end up looking like every other house on the block? Nope! Our custom work can include garages, porches, and many other custom details to your home. Styles, colors, and finishes can also be selected to truly showcase your unique personality. 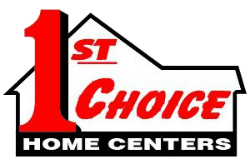 If you’re looking to purchase a quality home for a reasonable price, look no further than our modular homes here at 1st Choice Home Centers. Contact us today, so we can help you get into the home of your dreams!